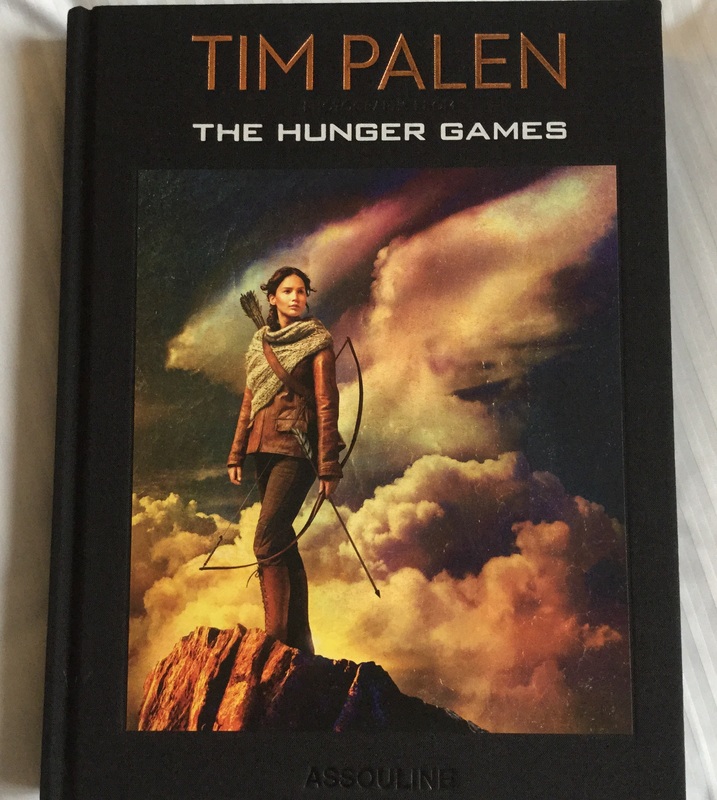 Today Tim Palen’s Photographs from The Hunger Games became available. Even as a super fan, I was on the fence about this purchase with the $75 list price, but when I saw it in person I had to take the plunge. This is a hefty, gorgeous book, filled with large beautiful pictures from the first three movie campaigns (or to be more fair, 3.5 movie campaigns) and explanations of the creative choices behind them in the introduction. 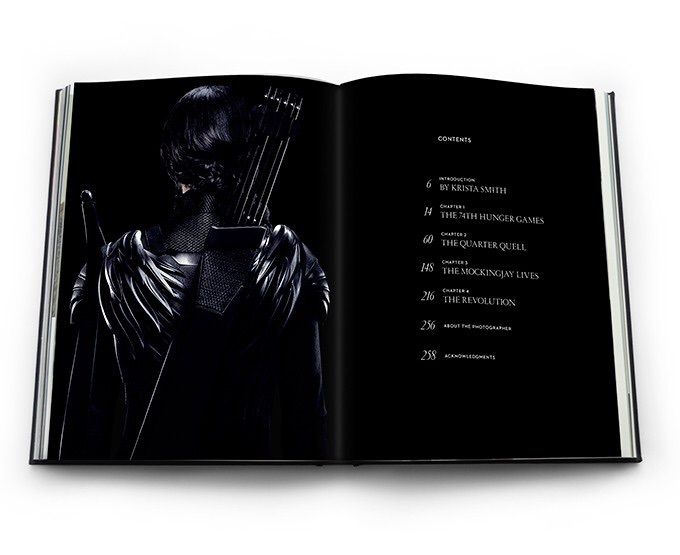 As the title indicates, the photos are the focus – specifically character portraits, with movie and Suzanne Collins’ book quotes interspersed throughout the pages. For The Hunger Games, we see alternate shots of the characters with their eyes closed, as well as different takes on released promotional images. For Catching Fire and Mockingjay Part 1, we again see the familiar images from posters and other promotional images with unreleased versions or additional character shots. Some of the unreleased images from Mockingjay Part 1 are staggering. Oh, yeah, I guess those count. You might like those. A lot. This book is clearly a collectable item at the size and price tag. I think the best way to decide if it’s worth it to you is to see the book in person, either at an Assouline bookshop or the Hunger Games Exhibition Gift Shop (it should be available more widely in about a month). My only twinge of regret is that I wish this were released next year so that the Mockingjay Part 2 section could be more complete. Every book needs to leave room for a sequel? Unless I get a second job, this will have to wait a while. Much too pricey even for a die-hard fan. Honestly, I’d be more stoked to see a concept art book. … Unless not as much thought went into it in that manner as in many sci-fi/fantasy films.